A labor strike threatens Hongkong International Terminals' competitiveness as ocean carriers reroute cargo to rival ports. Did Hong Kong Strike Out? While Hong Kong's season of labor discontent may augur an unsettling trend as Asia's middle class continues to grow—along with discord concerning workers' rights and compensation—the near-term implications serve as yet another reminder of the daily vagaries threatening supply chains. 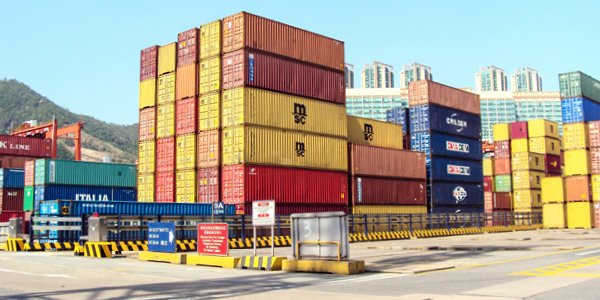 A lingering, month-long dockworker strike (as of press time) over wages at the Hongkong International Terminals has contributed to a 20-fold increase in vessel berthing times at the world's third-largest container port, reports the South China Post. As a result, Evergreen Marine Corp. and Mitsui OSK Lines are diverting ships rather than face lengthy delays. But the impact may be far greater as ports in the region jostle for market share and Hong Kong's reputation as an efficient distribution hub hangs in the balance. Volumes were down about five percent in 2012, while most of its competitor hub ports seem to be growing. "That would suggest Hong Kong is under some degree of pressure already," explains Timothy Ross, head of transport research, Asia Pacific, for Credit Suisse, in a recent BBC interview.